The top two are faint and hard to photograph but all are positive. CONGRATULATIONS!! 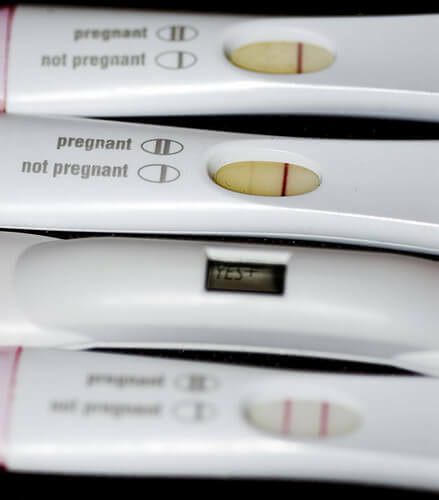 With both my pregnancies I took more tests than that just to make it real that I was pregnant. lol :) CONGRATS! Congratulations, Sarah. Wow, I can remember when you were pregnant with your son. It seems so long ago!